A coastal city in Monterey County, Pacific Grove is home to beautiful, historic Victorian homes. Residents of Pacific Grove enjoy warm days, beautiful scenery, and much less tourism than other cities in Monterey County. However, many residents of San Francisco will travel to Pacific Grove for quick weekend getaways. In addition to Pacific Grove’s awe-inspiring scenery, Signs By Van has the pleasure of building unique business signs for a variety of companies in the area that contributes to the landscape. Our talented artisans work with our clients directly to design their ideal signage and Signs By Van will fabricate everything in-house and install the sign at your desired location. 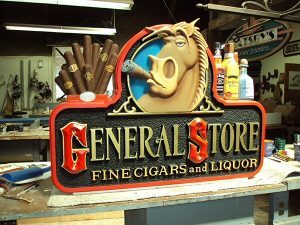 Browse our portfolio and see our gallery of custom business signs and contact Signs By Van to get started today!